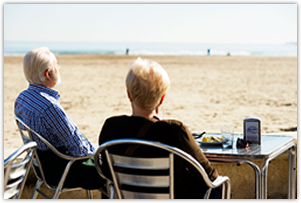 El Trompo is located on the beach Malvarrosa, which is the most popular and frequented in Valencia. In it was built the famed novelist Vicente Blasco Ibanez house (now HOUSE MUSEUM). The beach is very wide, sandy and suitable for swimming. You can access it by any public transport: bus or tram. And if you want to drive, has great parking. A good house salad with garden produce Valencia, is always a good start for a meal.